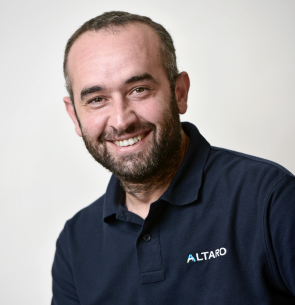 As a co-founder and CEO, David has led Altaro Software since the company was founded in 2009. Before that, David spent 11 years at GFI Software, his last role being Director of Product Management with responsibility for product strategy, OEM relationships and M&A technical due diligence. David possesses an entrepreneurial mindset with a strong ‘getting things done’ attitude. Although lacking in formal academic education, due to a ‘hacker-style’ mindset he is self-taught on various disciplines including software development, sales, marketing and business in general. Through the years, he had the good fortune of working with and for great individuals who helped him get to where he is today. David sometimes serves as a mentor to entrepreneurs as he enjoys sharing knowledge and learning new things along the way. Being to the point, truthfulness and avoiding B.S. helps David in the quest to be a good leader.